Qualcomm, whose Snapdragon processors are found in a wide variety of smartphones, will experience chip shortages that will extend into next year. Supply issues are being traced back to Taiwan Semiconductor Manufacturing Company (TSMC), a contract chip maker that produces Qualcomm's widely used 28nm Snapdragon S4 system on a chip. TSMC told Focus Taiwan that it expects manufacturing to start catching up in 2012's fourth quarter, with the ability to fully satisfy market demand again in 2013. Only TSMC's 28nm chip production will be effected by the shortage, which may also impact Nvidia, who also uses the contract manufacturer for its 28nm chips. 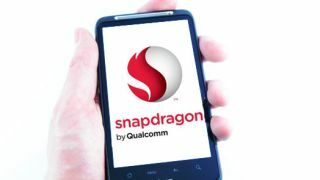 Production of smartphones based on the Snapdragon S4 chip will likely slow down with the shortage, effecting handsets like the HTC One X, HTC Evo 4G LTE, and could lead to a rocky start for the Samsung Galaxy S3. After Qualcomm warned of chip shortages back in April, rumors started circulating that the Snapdragon S4-based Asus PadPhone will likely see a delay. Last week, Qualcomm announced plans to launch four new lines of Snapdragon S4 chips, expanding its reach to HDTVs, notebooks and tablets. The firm hasn't commented on how the extended chip shortage will muddle those plans. Qualcomm chairman Paul Jacobs tried to put up an optimistic front to the news, telling Reuters, "The goal is to get enough supply for everyone." A lofty goal, to be sure, but with matters seemingly out of Qualcomm's control, the firm will likely have to seek out a new contract chip maker if there is any hope of achieving it.